As noted French winemaker Paul de Marseul (Niels Arestrup) tells it, the aroma of a wine – much like the scent of a woman’s perfume – tells a story. And even though he likes to boast that the Marseul name that adorns each and every bottled label produced by his Bordeaux based vineyard promises perfection, it doesn’t take very long for us to realize that’s a mere façade as the aroma of Marseul’s wines bear the stench of greed, resentment, guilt, disappointment and even death mixed in with the heady scent of grape. 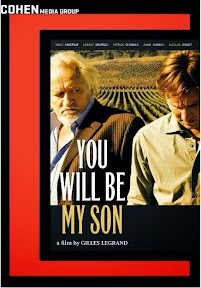 Needless to say, something’s rotten in the state of France in Gille’s Legrand’s Cesar nominated Shakespearean inspired saga of a psychologically riveting battle that plays out between fathers and sons. As such, the influence of King Lear looms large on this Machiavellian tale of the mercurial Paul de Marseul who belittles his academically inclined, mild-mannered son Martin (Lorant Deautsch) every chance he gets. 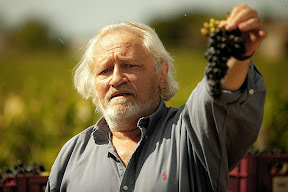 From a past stutter to his current inability to impregnate his wife (so far), Paul’s verbal assault of Martin goes into high gear when his expert winegrower, estate manager and unheralded Marseul mastermind Francois (Patrick Chesnais) informs him that his catastrophic case of Pancreatic cancer has left him with mere months left to live. 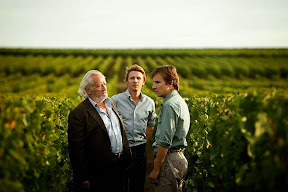 Not ready to hand over Francois’s role to Martin, Paul intervenes, informing Francois’s son and head Coppola Vineyard winemaker Philippe (Nicolas Bridet) about his father’s condition against the man’s wishes. Using the situation to his advantage to sidle up to Philippe and hopefully bring him on as a partner, Paul’s fateful decision to meddle ignites the spark of an explosive battle that with follow. With the war between not only father and son coming to a full boil but also bringing long-held resentments to the surface among the generations of men from the boys who’d undoubtedly played together among the fields they now hope to run as well as Francois’s obvious anger about Paul’s open attempts to steal away his son before he’s even passed away, it’s only a matter of time before the first blow is struck. While honestly, it tries the patience of the viewer by asking us to spend too much time primarily in the company of such an appallingly self-centered monster, You Will Be My Son is reenergized thanks to a unexpected and daring ending that pays off on the escalating tension of the movie in an intriguing way. Overflowing with rich, layered characters and complicated back-stories filled with secrets that help you better understand the characters the make up the ensemble cast, this fascinating psychological portrait of fathers and sons – both biological and forged by fate and love – is as multifaceted as the people who populate it. Never missing an opportunity to drive home the themes via every cinematic mean by at the filmmaker's disposal from shot composition to character blocking, including one bravura sequence that involves the power struggle of three men based on who’s in the driver’s seat both literally and figuratively, Son’s literary ambitions help punch up what could’ve been an otherwise straightforward tale of familial dysfunction. From Paul’s obsession with shoes that extends to Philippe, which Francois pointedly picks up on while asking his son if he’s comfortable in his new shoes as a potential new son and partner to his old boss, You Will Be My Son is a great example of intertextual cinema. Despite its originality, the ending is a bit rushed with regard to the fate of Philippe and one telling confession from Paul in which he describes his own relationship with his father begs to have been explored in greater detail (perhaps through the use of a flashback, which would’ve been a welcome change of pace from seeing him torment Martin). 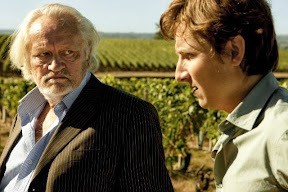 Still all in all, it’s a very worthwhile, hauntingly beautiful tale of patriarchal dynamics that cuts very close to the bone… or in this case the vine, and one in which you can practically smell the aroma of testosterone, alcohol and grapes coming right off the screen. Cheers!